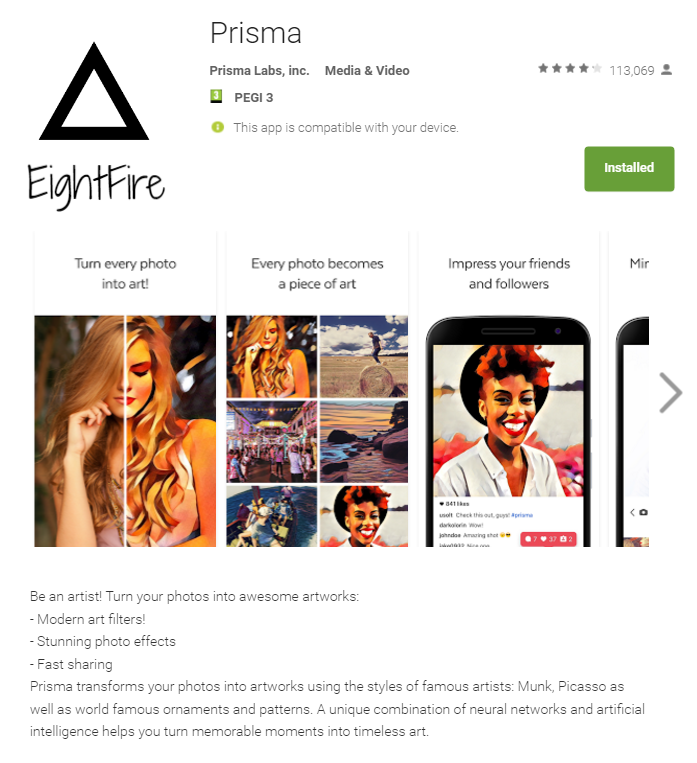 Prisma started in iOS version, which processes pictures using neural networks, now the Russian App developers have released the official version of the app for Android. The Russian-Made App is becoming popular day by day, and I am thrilled to have this app on my android now. Filter are easy to use and are simply amazing to use. About this in his Facebook wrote the founder of the project Alexey Moiseenko announced the official version of Prisma App. Within five days of this mobile application, it is going viral before it was only available in the beta version and was only available on invitation base. You can download the Prisma APK file for Android from Google Play store. Do not download or use APK Files from unreliable sources, as it may damage your phone or steal your data from your phone. Always use Google Playstore to be safe.